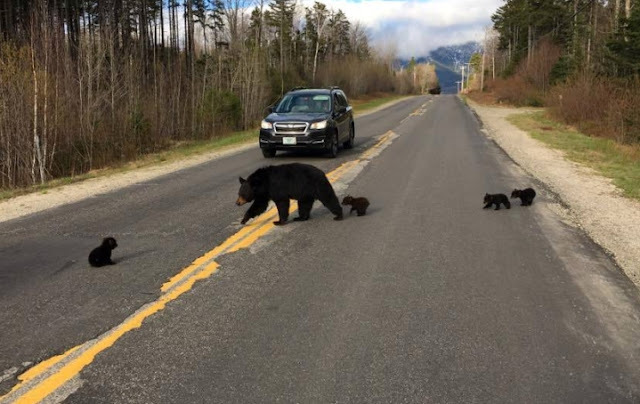 A bear family was trying to cross the road but the mama kept going back and forth on the road, so a cop arrived to help her. 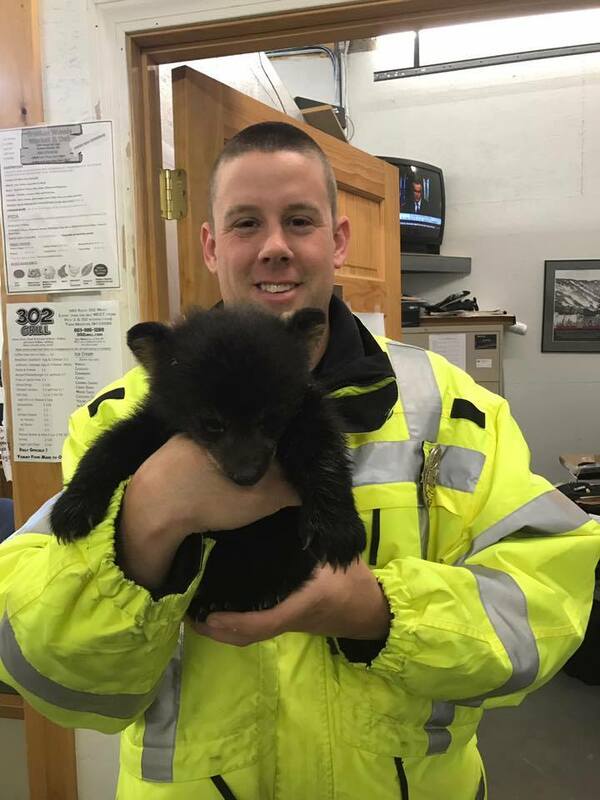 The officer with the Town of Carroll Police Department in New Hampshire noticed the mama kept pacing across the road and when he looked, he realized she was trying to get one of her cubs, who couldn’t keep up with them because it was sick. The mama wanted all four cubs to remain with her, but the one cub simply was too weak to move. 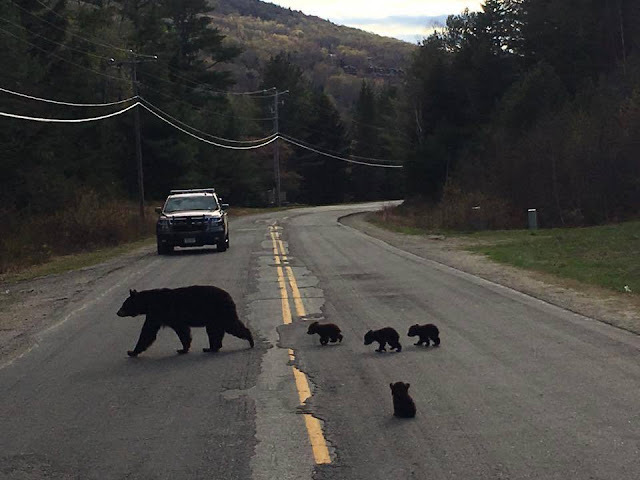 Eventually, the mama made the heartbreaking decision to leave the cub and continue on with her other cubs. That’s when the officer intervened to help. “This is the mother that had five cubs out in Bretton Woods, another cub [the runt of the litter] had to be picked up yesterday as well,” the department explained. Jane Langmaid filmed the officer doing his job. She explained it happened in Bretton Woods, which is part of White Mountain National Forest (more than 750,000+ acres of protected wilderness). 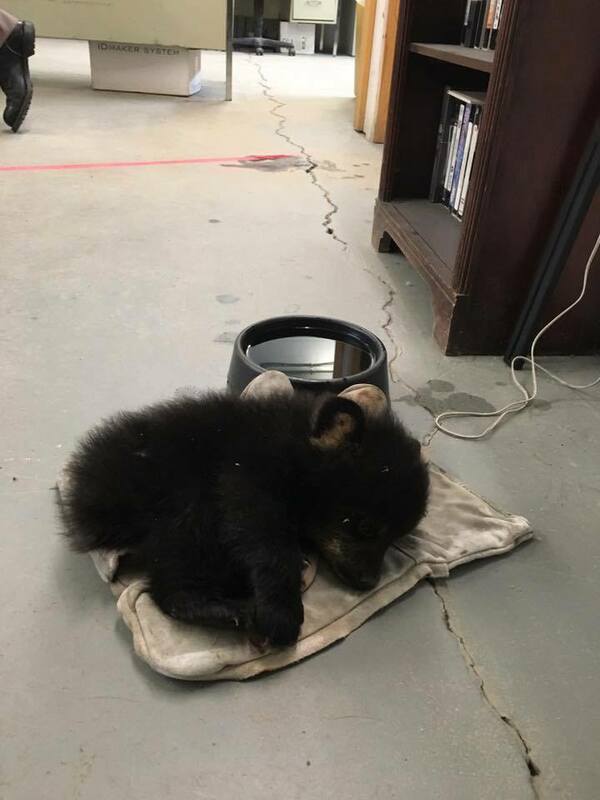 Responses to "Bear cub isn’t able to keep up with his mama, so cop comes to the rescue"